G-1000 is Fjällräven’s own hardwearing and versatile fabric, a well-proven outdoor classic that will prepare you for all types of adventures, all year round. This dense weave is made from 65% polyester and 35% cotton, is extremely durable, very well ventilated and also wind and water resistant. The G-1000 fabric is unique to Fjällräven, and the fabric's properties can be customised using Greenland Wax. 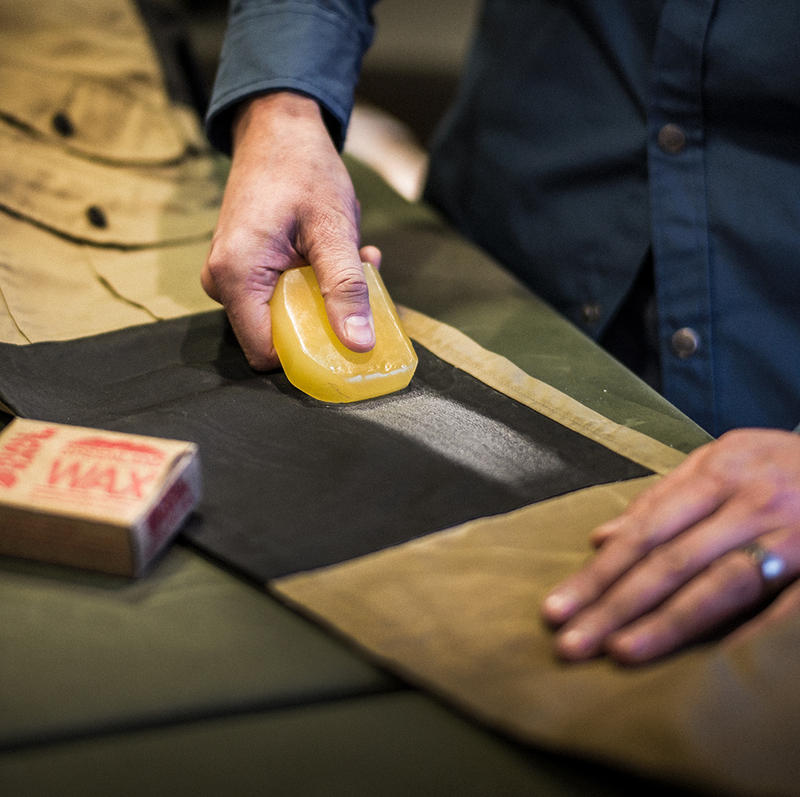 By applying Greenland Wax, you can adapt your G-1000 garment to the weather conditions you are expecting. Adding more wax increases the fabric’s water and wind resistance, as well as the durability and lifespan of the garment. To make it more breathable and suitable for warmer conditions, simply wash the wax out. The combination of the durable, densely woven fabric and the treatment with Greenland Wax make G-1000 one of the most durable and versatile outdoor fabrics in the world. G-1000 products feature heavily across the Fjällräven range, making Greenland Wax a great add-on sale for any purchase of a product using G-1000 fabric. The Greenland Wax is available in standard & travel sizes, with a premium pouch edition coming soon.